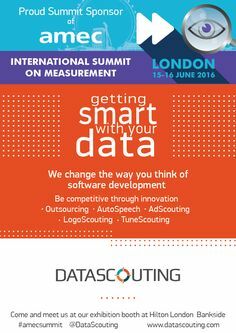 When I first saw DataScouting showing up in my LinkedIn feed I was intrigued. I followed the company, started following their CMO in social media, was eventually featured in one of their blog posts too. For some time now, I’ve wanted to dig a bit deeper into the company and its offerings and recently had the opportunity to do so. This is the first of two post centered on DataScouting…we start with getting to know the company views via a Q&A with answers provided by Stavros Vologiannidis and Sophia Karakeva. Who Is DataScouting and What Do They Offer? The headline says it all because they do all of this and more. 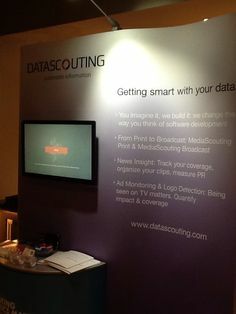 Not your typical PR software company, DataScouting creates bespoke modular platforms for customers ranging from media monitoring to digital archives to software & hardware solutions. Data is defined as facts and statistics collected together for reference or analysis. Scouting is defined as the action of gathering information about an area. To get to know more about DataScouting they answered a few questions about the company the industry and trends in measurement I put before them. As you will see a lot of thought went into these answers. How does DataScouting differentiate in an industry where there are many media monitoring services? DataScouting: Our platforms are designed in such a way that can be adjusted to the specific needs of any media monitoring / intelligence solutions provider, while we can develop or improve any solution that a partner has or wants. We have been receiving inquiries from all over the world from companies that need to improve their solutions or are in a research of a product that no one in the market has and would like to partner with us. A big advantage compared to technical providers of similar solutions is that our MediaScouting platforms are available both as SaaS and on premise. Our MediaScouting platforms come as a complete, all-in-one solution even with additional features like speech-to-text, ad monitoring or logo detection (using fingerprinting and machine vision techniques), which compared to other technical providers are available either as part of the platform or can be purchased as an independent tool. This means you have one platform for the entire scope of your production. Finally, DataScouting understands that each business’s process and unique way of working can be a competitive advantage and partners with MMOs to customize parts of its software or even create something from scratch based on its experience in developing scalable and highly available cloud applications. Is there a future for Print in a Digital world? DataScouting: For years, people have been predicting the demise of print but here we are in 2017 and newspapers and magazines are still strong, even though the internet and social media has transformed the way we consume news. Readership might be declining in markets like the United States and Europe, but print circulation is increasing in Asia, Latin America and Africa, according to the WAN-IFRA’s annual World Press Trends 2016 survey. In the same survey, we read that more than 2.7 billion adults are reading newspapers in print globally. Print publications have a more predictable and loyal readership, but with all the technology advances, publishers and news outlets are experimenting strategies to survive the digital revolution. For some newspapers, it may be too late. We have seen this in Greece as well, as most recently two of the oldest dailies closed down. But many will survive; especially now when “trust” is the new currency. What Value Does Media Measurement Provide to the PR Pro? How are PR Pros taking advantage of media measurement? DataScouting: Having access to the text, video or audio of the media placements is critical to PR professionals but it is not enough to reach real insights. You can count media mentions and published stories, but it is harder to determine the impact this has on your target audience. According to Prof Jim Macnamara (2014) there is no standard approach for measuring Public Relations (PR) in the modern-day practice. But we can still agree that media measurement should be both qualitative and quantitative measurement. Measurement should show an outcome, not necessarily an output. Measurement should determine how much awareness campaigns generate as well as an understanding of the actions of stakeholders. Consistent standards and customizable metrics are key components of public relations measurement. A media monitoring tool (like MediaScouting Print and Media Scouting Broadcast) that can provide and display in a dashboard all of your content –from paid to earned, print to digital, and owned to social – in one place is extremely important to PR professionals when it comes to media measurement. Such tools allow PR professionals to a) focus on the quality of the media coverage; b) to gather important information about relevant target groups; c) define goals and benchmark; d) track changes over time; e) generate topics and content for press releases and more. What impact do “Fake News” and alternative facts have on media monitoring? DataScouting: The phenomenon of fakes news and alternative facts has made media monitoring more important than ever. Especially since companies are also now finding themselves the target of fake news (see examples of Pepsi and Comet Ping Pong pizzeria). Therefore, companies need to broaden their search criteria to make sure they are reading about issues more broadly and have a sense of the conversations that is taking place across all media and not just tracking down mentions about their brand. Fake news and alternative facts represent a serious threat to accuracy and trust. Early detection of bogus news and aggressive measures to refute the story can minimize viral spread and prevent serious damage to corporate reputation. This can be achieved by improving detection, warnings and third-party-verifications, improved social media algorithms, focus on media sources that are known to produce false information, experienced readers to fact-check news and provide real-time alerts that immediately inform clients when they are being mentioned. AI-powered media monitoring could also play a significant part in solving the fake news problem. The original post is available on RMP Media Analysis.